Entergy Arkansas says the fire that was contained and extinguished this morning at Arkansas Nuclear One in Russellville was the result of a transformer failure. 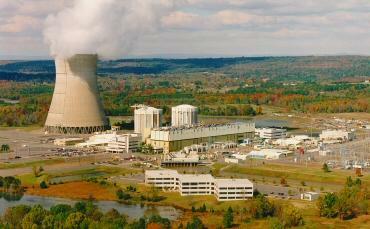 "The fire was in a non-nuclear area of the plant. The transformer is in an outside switchyard," says Entergy spokesman Mike Bowling. Bowling says no injuries were reported and there were no threats to public health or safety resulting from the transformer failure and fire. He says it took about an hour to extinguish the blaze. "The issue was that the transformer itself contains oil. The fire was contained very rapidly. However, because the fire involved oil, after it was contained the responders made the decision to let the oil fire burn off," says Bowling. Bowling says the fire occurred in Unit 2, which is currently offline. Unit 1 remains in operation. He says they're now trying to determine the cause of the transformer failure and replace the faulty device.